Bob’s Band is a group comprised of Augsburg Alumni that specializes in performing a fusion of jazz and world music. The unique sound is achieved through adding a jazz flare in both harmony and instrumentation to the compositions of world artists. 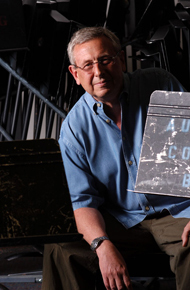 Leader Bob Stacke, PhD, is professor Emeritus of Music at Augsburg University where he was Chair and Director of Bands and now focuses on leading groups that collaborate with local musicians and global guest artists.